By Lisa Rapaport SOURCE: bit.ly/2j5vK4Q Journal of Clinical Oncology, online December 19, 2016. (Reuters Health) - Families of terminally ill cancer patients may be more satisfied with the end-of-life treatment their loved ones receive when it involves hospice care, a recent study suggests. Researchers examined interview data from 1,970 family members of deceased cancer patients. The patients all had advanced lung or colorectal cancer, and roughly half had received hospice care. Hospice was associated with better symptom relief, attainment of pain-management goals, and quality of end-of-life care, the study found. Families of patients who received at least 30 days of hospice care reported the highest quality of life outcomes. Many people think of hospice as something that should be saved for the very end of life, said study co-author Dr. Alexi Wright of Harvard Medical School and Dana-Farber Cancer Institute in Boston. “However, our findings suggest that earlier hospice enrollment is associated with better symptom management, less pain, better quality of care, and a higher likelihood that patients will receive the care that they want in their own environment,” Wright added by email. Patients with advanced cancer often experience pain, difficulty breathing and distress at the end of life and use intensive, hospital-based care during their final days, researchers note in the Journal of Clinical Oncology. 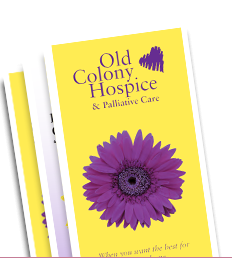 Hospice offers an alternative approach focused on comfort and often delivers care within a home environment that many families may prefer. About 80 percent of families in the hospice group reported the amount of pain medicine was just right, compared with 73 percent of the families that didn’t use hospice services. With hospice, 78 percent of families said the patient got the right amount of relief from breathing difficulties, compared with 70 percent for the non-hospice group. In addition, 80 percent of hospice families said patients’ end of life wishes were followed, compared with 74 percent in the other group. Patients received excellent end-of-life care according to 57 percent of the hospice families and just 42 percent of the other families. The results add to a growing body of evidence linking hospice to better quality of life for patients, a greater likelihood of dying in the location of choice, and less bereavement-related distress for caregivers, said Dr. Camilla Zimmermann, a palliative care researcher at the University of Toronto who wasn’t involved in the study. Patients and families should know that enrollment in hospice for more than 30 days is associated with better quality of care at the end of life, Zimmermann said by email. When people have little or no hospice care, it’s often at least in part because patients and families didn’t know about their end-of-life care options soon enough, said Dr. Preeti Malani of the University of Michigan in Ann Arbor. Palliative treatments are used to relieve symptoms. Unlike hospice, palliative care doesn’t require patients to forego active cancer treatments or have six months or less to live, said Dio Kavalieratos of the University of Pittsburgh. “Palliative care can be provided from the day of diagnosis, and can help ease a transition to hospice care if appropriate,” Kavalieratos, who wasn’t involved in the study, added by email.